Planning an event can take up a lot of resources in both time and money. 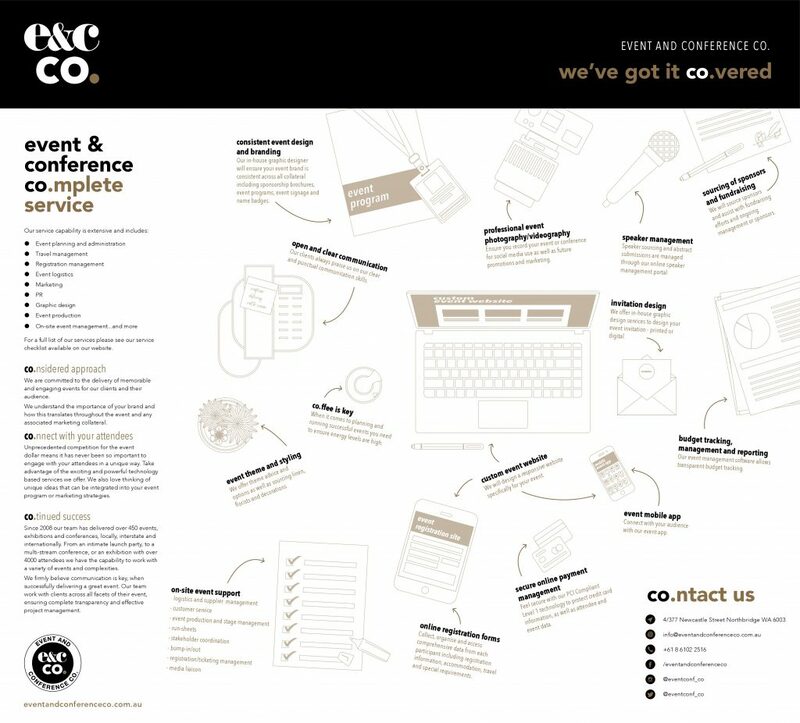 Why not turn to the professional team at Event & Conference Co. to handle all of this for you! We specialise in coordinating unique, vibrant, professional events for our clients. We use preferred suppliers to reduce costs and deliver a premium service at affordable prices. Not sure what services you might require for your next event? Download our Services Checklist. Graphic design – marketing collateral, event programmes etc. For a fully comprehensive quotation, please contact us now on +61 8 6102 2516 or email hello@eventandconferenceco.com.au to discuss. Click the image below to download our service brochure.